This picture is showing the new Arsenal 2014-15 Third Kit. 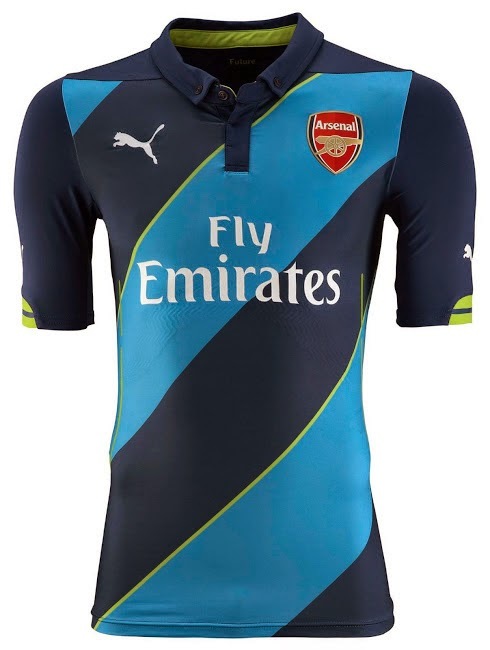 The Arsenal 14-15 Third Kit features the most striking design of the set. Based on the same template as the Italy 2014 World Cup Home Kit, the Arsenal 2014-15 Third Kit features two tones of blue with lime green elements. While the sleeves are plain blue, light blue diagonal stripes appear on the front of the kit. 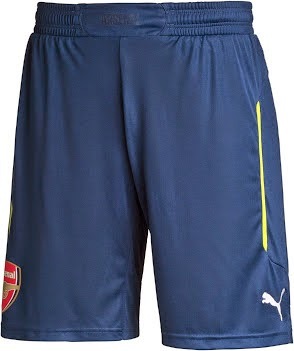 Navy shorts with a yellow trim and navy / light blue socks complete the look of the new Arsenal 14-15 Third Shirt. 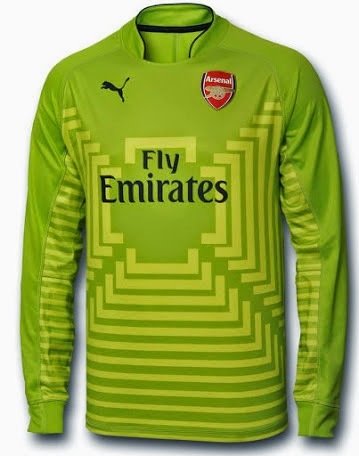 These pictures are showing the new Arsenal Puma Goalkeeper Kits.